Bel's Fish Bowl: What? No shopping? I was in Sydney last week for work and what a whirlwind trip it was. And you know how I know that it was? I had a dream I was pregnant and going into labour. But instead of going to the hospital, I went into a kitchen and Gordon Ramsay was looking after me. Hmmmm....not sure what that was all about. I don't even think he was a doctor. He was just, well, Gordon Ramsay...the chef. I love food and all, but I don't think eating a delicious meal would be high on the agenda during childbirth, even if it WAS cooked by Chef! 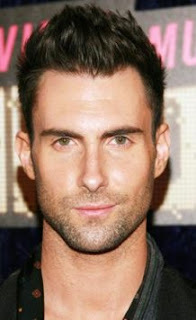 I was sitting behind Adam Levine (from Maroon 5) on a bus and randomly started massaging his scalp. WHY???? I have ABSOLUTELY no idea!! I lead such an exciting life don't I? In my dreams maybe. BTW - Bob Marley's Is This Love is streaming out of the Backpacker's Hostel next door to me right now. Sighhhhh.....wish I was lying poolside at a Four Seasons resort somewhere in the tropics, basking in the warm and brilliant sunshine, eating fresh pineapple and breathing in the clean ocean air. Blimey you do dream about dishy men! 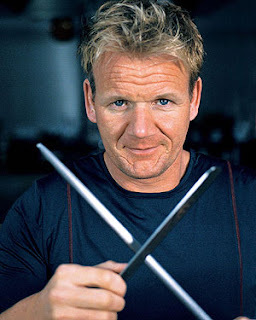 There is something lovely about Gorden Ramsey, I dont like all the swearing but he is still great! I hear if you dream about celebrities it means luck is coming your way. I keep having the same dream that my friend gets married and doesn't invite me and I get sad. Oo yes, wouldn't mind Gordon popping up in one of my dreams! Missy is right, there's something really attractive about him - think its his passion for food! HAHAHAHA! Look on the bright side of things -- you didn't dream of Adam Levine cooking your dinner and you massaging the scalp of Gordon Ramsay. That would be WAY too weird. I love all your man-candy here! I think your dreams mean that you need to spoil yourself for a change, rather than worrying about what BOYS want . . . but maybe I've just had too much psychotherapy. Very entertaining post! My trick is to not even walk in because If i do i'm sure to pick something up.